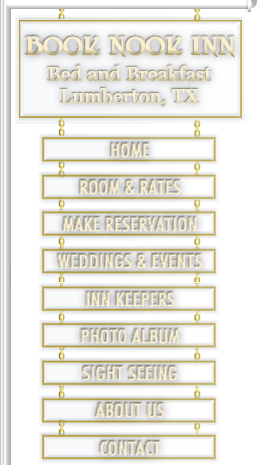 The large Steampunk Room has a king size bed and a private bathroom complete with shower and bathtub. The room also has its own steampunked refrigerator, and microwave. The refrigerator is stocked with bottled water, sodas and various juices. Enjoy a flat screen TV built into a steampunk style cabinet. Watch provided HBO and other major channels on the TV that would have existed in that era that never happened.. A large collection of DVD's are available from our movie library. 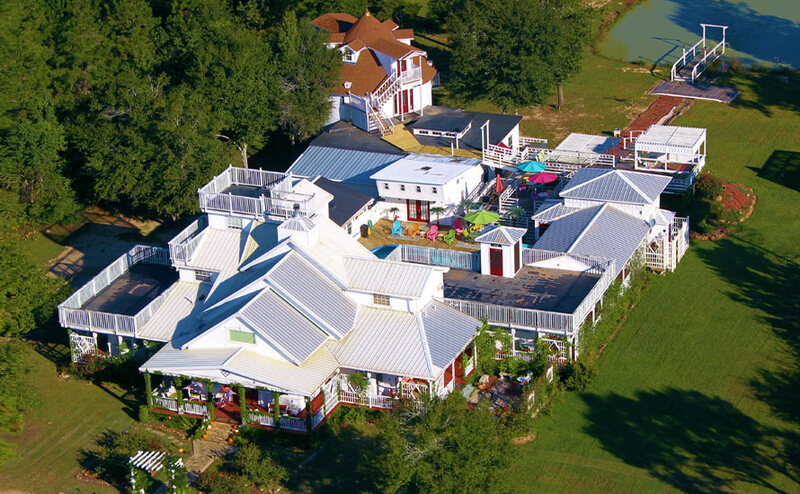 Guest in this room have a crow’s nest view of the entire bed and breakfast grounds. Hot Tub and swimming pool is just a short distance away. Private parking is provided. Very private and quiet. Wake up to birds singing on the tree branches right outside your windows. Furnished with antiques having a steampunk flair. Steampunk represents the “greatest era that never was.” Set in the late 19th century, it encompasses all of the romanticism of the Victorian Era— including the ugly bits— all the literature, all the scientific theories and political upheavals, then cranks up the technological level on the whole thing to eleven. A time of dirigibles, steam locomotives, Stanley steamers and other cool thing·a·ma·jigs. An era of fictional machines like those found in the works of H. G. Wells and Jules Verne, or the modern authors Philip Pullman, Scott Westerfeld, Stephen Hunt and China Miéville. 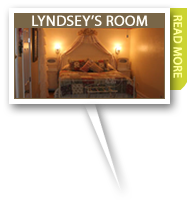 Lyndsey’s room is designed with a Shabby chic style reflecting a timeless and vintage quality that draws on many sources and inspirations. The room is light and airy, warm and welcoming, and full of quality items that you want to touch, to hold and to enjoy. We feel shabby chic is basically a collection of much loved, and often much used, items that serve more than just a function – they provide style and design as well. Our Shabby Chic room combines the new with the old. We hope you will find it anything but dowdy; it is fresh, inspirational and timeless. Above all it is a fun collection of beautiful things, some old, some new but all bright and colorful, and all loved. 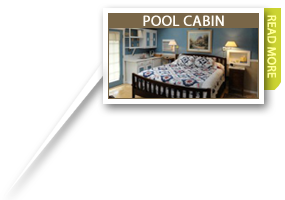 The Pool Cabin with its king size bed has a private bathroom complete with shower and whirlpool bath. The room also has its own refrigerator, coffee maker, and microwave. The refrigerator is stocked with bottled water, sodas and various juices. The bathroom comes complete with hair dryer, iron and ironing board. A flat screen TV with a DVD player are provided. HBO and other major channels are available. A large collection of DVD's are available from our movie library. And don't forget free WiFi. Guest in this room are just a few feet from our 32 x 16 foot swimming pool. Hot Tub is also a short walk away. Private parking is a just a few steps from the cabin. 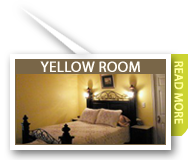 The Yellow Room provides a private bathroom complete with shower and whirlpool bath. The room also has its own refrigerator, coffee maker, and microwave. The refrigerator is stocked with bottled water, sodas and various juices. The bathroom comes complete with hair dryer, iron and ironing board. A beautiful framed flat screen TV with a DVD player are provided. HBO and other major channels are available. A large collection of DVD's are also available from our movie library. And don't forget free WiFi. Guest in this room are the first to smell the breakfast cooking each morning.